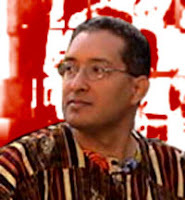 From: Antumi Toasijé, historian, President of the Pan-African Center and Director of www.wanafrika.org. My question is: Can we defend ourselverves or we are still weak? This is a pledge for the African Union to take action and firmly intervene in the issue of Libya. As events in this war develop in the worst direction the intervention is necessary for two main reasons, first one is the documented racist harassment of the Black populations living in Libya. If we allow the Libyan Rebels to continue with this kind of prosecutions without reaction or even punishment, we will set a huge step back to the Apartheid Era because it can be an extremely dangerous precedent for all the countries in the north of Africa or even the European countries too, meaning that attacking or killing black innocent citizens is cheap and easy. The second reason is that Côte D'Ivoire and Libya have become experiments for the Neocolonial powers in a time of economical crisis. Traditionally, when the European economy breaks down then the colonialism raises. If we don't take effective and executive strong actions all Africa will be in a serious danger of recolonization. This intervention has a strong legal basis as Libya is still a member of the AU and Article 4 of the African Union Act provides for: “(h) the right of the Union to intervene in a Member State pursuant to a decision of the Assembly in respect of grave circumstances, namely: WAR CRIMES, GENOCIDE and CRIMES AGAINST HUMANITY”. I'm not asking for an intervention in support of Kaddafi’s regime but in support of African independence and protection of our citizens. The intervention should be military if necessary with enough effectives of the AU crossing the borders of Niger and Chad. It should consist in a rapid rescuing operation of all black citizens living in Libya, repatriation if they wish so and/or a demonstration of force to stop killings in the hands of the Libyan Rebels. Remember History tends to repeat itself specially if we don't learn from past lessons.